A member of Anoice, Takahiro Kido's third solo album 'Fleursy Music' is now up on YouTube. Anoice and the side projects released 9 albums/eps for 2 years from the debut in 2006, but this was his first time to create non-dark music. Takahiro Kido (Anoice) and Yuki Murata (Anoice) created 4 tracks for an Ukrainian artist, Julia Kovalevskaya's Dreanhouse project which will be exhibited on Gogolfest 2019 from 26th April to 1st May in Ukraine. It's been a while since Tsukiji Market moved to Toyosu. Takahiro Kido (Anoice) took charge of music for the promotion video produced by Tokyo Metropolitan Government and Metropolitan Central Wholesale Market. Now available to see the French TV documentary show 'Hikikomori: A Deafening Silence' directed by Dorothée Lorang and David Beautru, on YouTube. Anoice and cru that is one of our side projects, took charge of music. A member of Anoice, Takahiro Kido took charge of music for a commercial advert of Callaway Golf, an American global sporting goods company. This is a pop music featuring a combo organ. We uploaded a sheet music of 'bird sings a lullaby' included in the latest solo album 'Piano Fantasia' from Yuki Murata who is the pianist of Anoice. Enjoy the fantastic and beautiful piano tune. Takahiro Kido and Yuki Murata who are members of Anoice, took charge of music of a new advert which ANA, All Nippon Airways Co., Ltd. produced for recruiting their new staffs. 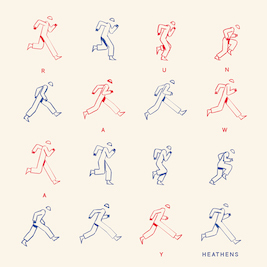 The music video 'Run Away' from Heathens is now up on YouTube. The is the second lead single from their third album 'Love Songs for Insensitive People' which will be released on 5th April. This is a new masterpiece of electric pop music! A sheet of music of 'Izze' included in Takahiro Kido's third solo album 'Fleursy Music' is now available to download for free. Have a play the gentle and warm piano tune. We've uploaded the first album 'Variations of Spiegel' from Mokyow, the alternative rock band formed by male members of Anoice, on YouTube with full length. A New York-based ambient piano trio, Sontag Shogun will release the third album 'It Billows Up LP' via Youngbloods on 17 May. You can now order the limited 140 gram black opaque 12" LP. A sheet of music of 'colder than thermite' included in Anoice's third album 'The Black Rain' is now available to download for free. Please have a play the speedily modern-classical tune with a piano, violin, viola and organ. On 2nd April, we'll release the second lead single from the third album 'Love Songs for Insensitive People' of Heathens, a six piece electric band in Italy, which will be released on 5th April. Have a check the new electric music masterpiece from a new age. A member of Anoice, Takahiro Kido's 2nd solo album 'in my Time' is now on YouTube with full length. Have a listen to this lovely modern-classical-ambient album by three pianos as well as stringed instruments such as violin and viola. The music video 'No Tears (feat. 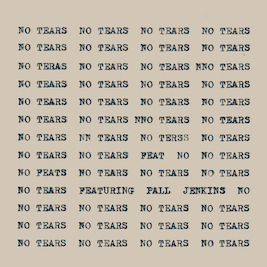 Pall Jenkins)' from Heathens is now up on YouTube. The is the lead single from their third album 'Love Songs for Insensitive People' which will be released on 5th April. A member of Anoice, Takahiro Kido's tune 'Where Time Goes' included in his second solo album 'in my Time', is now available to download on sheet music for free. Have a play the beautiful tune with a piano and viola. We've just uploaded the first album 're-Silence' from cru that is a modern classical music unit formed by Takahiro Kido and Yuki Murata who are the members of Anoice, with full length on YouTube. You'll be able to listen to some piano pieces for four hands that have a tense atmosphere by our improvisation. We've just uploaded the second solo album 'Home' from Yuki Murata of Anoice with full length on YouTube. Three months after she completed her first album 'Films', she rerecorded this attractive album by performing on an upright piano without preparation at a countryside house. One subject of this album is Japan's four seasons. A sheet of music of 'ripple' included in Anoice's third album 'The Black Rain' is now available to download for free. Please have a play the beautiful tune with a piano, violins, and violas. Takahiro Kido (Anoice) and Yuki Murata (Anoice) again created music for 3 new adverts of Airweave, a mattress maker in Japan. Thay have took charge of total 8 adverts for this company for this 4 years. Now available to download a sheet of music 'Let's Go to Neverland' included in the first solo album 'Films' from Yuki Murata who is a member of Anoice. Have a try to play this simple lovely piano solo tune. 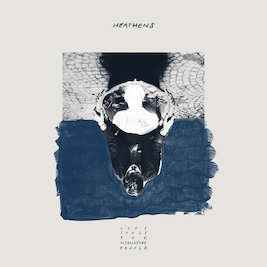 On 5th April, we'll release the third album 'Love Songs for Insensitive People' from Heathens who is a six piece electric band in Italy that will be the first country for us. It features the catchy melodies which anyone can remember such as some tunes from The Beatles and The Beach Boys, the electric rhythm affected from The Knife and The Notwist, and the introspective sound like Radiohead and Massive Attack. That unique music has been highly evaluated by many music fans. 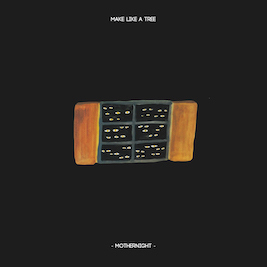 On 20th March, we'll release the third album from 'Make Like a Tree’, a music and photography project produced by Sergey Onischenko, the vagabond from Ukraine who is touring around the world. For this album, various artists who met Sergey and sometimes shared stages with him in Japan, Kenya, Tanzania, Russia, Ukraine, Austria, Italy, Norway, Catalonia, and Armenia, appear as guest players with their own instruments, and also Takahiro Kido and Yuki Murata from Anoice joined. We've just uploaded the first solo album 'Films' from Yuki Murata who is a member of Anoice with full length on YouTube. She made this beautiful album by performing on a grand piano without preparation at her own studio and recorded it nonstop. You are sure to be inspired by the pure warm sounds of the piano. On 5th April, we'll the lead single 'No Tears' from the third album 'Love Songs for Insensitive People' of Heathens who is a six piece electric band in Italy. This one of masterpieces which feature the down-tempo rhythm and the dark synthesizer sound. Especially, the vocalist, Mattia's song like that his heart is cry, will be loved by fans of Thom Yorke and James Blake. We've uploaded a member of Anoice, Takahiro Kido's 1st EP 'Walking in the Rhythm' with full length on YouTube. 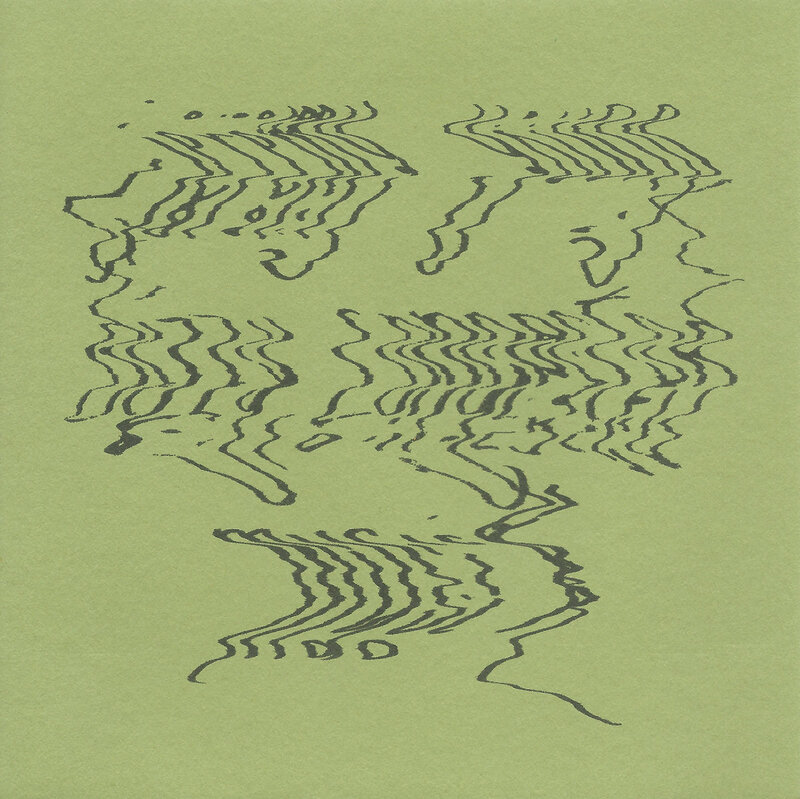 As with the soundtracks 'Krageneidechse' released in 2006, the same year as this EP, it is an eccentric work made by mixing contemporary music and electronic music experimentally, though it contains only three tracks. A sheet of music of 'Liange' included in Anoice's 'Remmings' album is now available to download for free. We are going to write sheet music of Anoice and the side-projects' past works as much as possible this year. Please let us know if you want any tunes which you want to play. A member of the New York-based piano ambient trio, Sontag Shogun, Jeremy Young released his new solo album 'Dizzy, Congested Musick' on Neologist Productions. Forest green cassette comes in disc packaging printed on avocado paper with liner notes featuring the improvised typography of Zach Schiermann. Limited to 50 physical copies. Anoice and a member of Anoice, Takahiro Kido took charge of soundtracks for a trailer video of 'Squirrel Monkeys in Kita-kamakura' directed by Nagahiro Okabe. The full edition is now on shooting. We've just uploaded Takahiro Kido's 'Krageneidechse' album with full length on YouTube. This is an original soundtrack for the same-titled short film of the New York-based art unit, NEON O'CLOCK WORKS. This album contains the sound of a broken piano that remained at the lobby of the hotel. The UK-based baroque-pop-folktronic-neo-classical-something-or-other trio, Haiku Salut has uploaded a new music video 'We Are All Matter' created by Jo Peel, a wall painting artist. Takahiro Kido (Anoice) and Yuki Murata (Anoice) took charge of arranging for piano and string instruments of 'Beautiful Dreamer' included in the debut EP from Banjoya Sae, a Japanese singer-songwriter. Takahiro Kido (Anoice) took charge of engineering the first album 'Being with Nature' from Kenji Azuma, a Tokyo-based percussionist who plays some round-shaped instruments such as Gank Drum, Rav Drum, and Hapi Drum. Yuki Murata who is the pianist of Anoice, played a new Privia produced by Casio at its press release in Osaka, together with Wataru Sato. Thank you for for letting her to have the opportunity to be a part of such an amazing experience. We've uploaded a member of Anoice, Takahiro Kido's first album 'a Short Happy Life' with full length on YouTube. This album includes 12 tunes made by minimal use of musical instruments, mainly piano, violin, and organ, along with environmental sound, to focus on the stillness and the color of the sound of musical instruments. We've uploaded a remixed version of 'snow in midsummer' included in the third album 'signs from the past' of Films, the dark classical music unit featuring Anoice and two females' vocalists in their original languages. The multi-award winning film directed by Robin Bain in Hollywood, Girl Lost featuring music of Anoice and Takahiro Kido (Anoice) has finally been available in Japan. Yuki Murata (Anoice) and Takahiro Kido (Anoice) took charge of music for new commercial adverts for FreePlus, one of cosmetics produced by Kanebo. Have a check the lovely piano tune. We've uploaded Anoice's first album 'Remmings' released in 2006 with full length on YouTube. This album includes 9 tunes which they created for the first time in their lives. Takahiro Kido (Anoice) and Yuki Murata (Anoice) took charge of music for new commercial adverts of Ajinomoto, a Japanese food and AminoScience corporation. You can now see 8 versions on video on their official website, though each music are almost same. Enjoy the lovely tune recorded with a piano, marimba, and glockenspiel. Crónicas de Larga Distancia has introduced an interview which Anoice received by El Mundo of Spain after their show in DMZ Peace Train Music Festival in Korea.